New Year’s Eve Dueling Pianos! Ring in the New Year with Friends, Family and Buffet Dinner! We are celebrating the old, new and what’s to come. Enjoy cocktail making and tasting to start the party ~Shake, Rattle & Roll Piano Dueling will keep the party going into the New Year! Includes a Four Hour Full Bar with a Variety of Super Premium Spirit Selections, Imported and Domestic Beers, Red and White Wines. Champagne toast at Midnight! Please contact the Banquet Office with any questions at (908) 547-6050. This New Year’s Eve, ascend to the peak of sophisticated revelry at Le Malt Lounge, New Jersey’s renowned luxury lounge and reigning A-list Whisky, Wine and Champagne destination. Nothing compares to the only upscale New Year’s Eve gala at Le Malt Lounge. With a taste of opulence, Le Malt’s luxurious and exclusive Great Gatsby affair has limited tickets and we would like you to be there! Indulge in a 5 hour Premium Open Bar from 8:30pm – 1:30am as you mix, mingle, frisk, frolic with the most beautiful revelers. Le Malt’s open bar will feature premium Single Malts, Bourbons, Wine, Signature Cocktails and more. To satisfy your other party cravings, this opulent party will spoil you with a tapas dinner menu and festive NYE party favors, that will keep your spirits soaring all night long. You won’t be able to resist the dance floor where a top DJ sets the party on fire with sizzling beats of Top 40, Hip Hop, House and Mash Ups. Great Gatsby Themed New Year’s! Topgolf is ringing in the New Year by throwing one of our biggest parties of the year. Enjoy live entertainment, a chef-inspired menu and an unforgettable midnight celebration. Upgrade to the VIP experience for exclusive access to an all-inclusive Premium NYE Feast with carving station and a bottle of bubbly* to share with friends. All New Year’s Eve packages include unlimited game play from 9 p.m. to 1 a.m.** for up to six Guests, front row seats to a midnight fireworks† show and party favors to help celebrate NYE in style. New Year’s Eve at Gladstone Tavern — menu specials! Champagne Toasts! Rock and ring in the New Year with live music! Ring in the new year with delicious food and great company at Rat’s Restaurant! Dine à la carte or indulge in a special five-course tasting menu created by the Rat’s culinary team. Then welcome the New Year with a dance party in the Pavilion complete with a midnight champagne toast! Calling all party people! Ring in the new year at the Club Rat’s New Year’s Eve Dance Party as we open our doors for dancing & cocktails in the pavilion starting at 10 PM. $20 cover; free if you dine with us on December 31st New Year’s Eve. Must be 21+ with state-issued ID or passport. Rat’s Late Night New Year Celebration! Start your year by treating yourself to the famous Rat’s brunch buffet presented in the kitchen, featuring decadent hot breakfast and lunch favorites, perfectly composed salads, house-made charcuterie, the freshest iced seafood, plus carving and omelet stations. New Year’s Brunch at Rat’s! Ring in the new year in style at Hub City Brewhouse with drink specials and the Beer Goggles live on stage! Ring in the New Year with all your friends and family at Blackthorn! New Brunswick’s newest Restaurant and Pub! Chef Gabe will be cooking up an amazing Prix Fix Dinner for those of you with a fancier flair for going out. It’s a SHELLebration! Ring in 2018 at The Greene Turtle in North Brunswick with an Open Bar and All-You-Can-Eat Buffet, plus complimentary champagne toast and party favors at midnight! Beer Pong and Arcade Games in Party Room. Watch the Countdown on our fifty 60″ HDTVs and download the Touch Tunes app to play all your favorite tunes from 2017. Elements will be doing 2 menus for the evening, a $125 5 course menu with seating times available between 4-6pm, and a $185 Chef’s Tasting menu with seating available between 8:30-10:30pm. They will offer optional wine pairings with each menu. New Year’s Eve at Peacock Inn Restaurant. 3 Course Meal. Join Ruth’s Chris Steak House on New Year’s Eve! Cheers to this year’s most memorable moments and to all that 2019 holds this New Year’s Eve with Mistral. Bid adieu to 2018 with Chef Joe Mooney’s delicious four-course menu offered at $69 per guest, or enjoy our a la carte menu at Mistral Bar. This years dinner menu can be paired with a $49 (optional) wine pairing to complete the meal. Enjoy a 3-course dinner, a comedy show and dance party! Announcing the most eagerly awaited New Year’s Eve Bash! Ring in the new year at the most happening party at The Imperia. Enjoy a magnificent Indian & International buffet & decadent desserts by Moghul Catering, 5 hr premium label open bar including Single Malt Scotch and entertainment by Bollywood DJ. Capture the wonderful memories at our photo booth. Leave the kids to have a ball in a separate kids section with kids menu & entertainment (bring your own baby sitter). A special VVIP Cabana in private setting seating 20 people is also available. Join Stage House Tavern on New Year’s Eve with Deloreans! Reality is not “out there” separate from the mind. Appearances are the nature of the mind and are inseparable from mind. In this sense, the wisdom teachings of Buddhism find the parallel in modern physics, in which quantum particles seem inextricably linked to the experiments that study them. However, in the wisdom tradition, we learn that investigating the nature of reality gives us the freedom to choose happiness and peaceful states of mind over delusions and suffering. By learning to meditate on wisdom, we can identify with our potential and solve our inner problems. Party! Party with vegetarian food and non-alcoholic drinks. Bring something to share as you wish! Ring in the New Year with Friends, Family and a Chef inspired Appetizer Buffet and Plated Dinner! We are celebrating the old, new and what is to come. AJH Entertainment will be leading the way and keep you dancing all night long! Appetizer Buffet, Plated Dinner, Chef Inspired Desserts. Includes a Four Hour Full Bar with a Variety of Premium Spirit Selections, Imported and Domestic Beers, Red and White Wines. Champagne toast at Midnight! Please contact the Banquet Office with any questions at (908) 547-6050. This NYE kick off 2018 at Le Malt Lounge, New Jersey’s renowned lounge and reigning A-list dining, whisky, wine and champagne destination. This luxurious black-tie affair has extremely limited tickets including exclusive VIP Group Package upgrades. They’re decking out Topgolf in all gold everything and celebrating with live entertainment, a chef-inspired menu and a midnight celebration to remember. Make your reservation now! Fling out the old year and ring in the new with delicious food and wonderful company at Rat’s Restaurant. Dine à la carte or indulge in a special five-course tasting menu created by the Rat’s culinary team. Then welcome the New Year with a dance party in the Pavilion complete with a midnight champagne toast! Mandy will be hosting my 1ST NEW YEARS EVE Party! The theme for the night is “Great Gatsby”, dress to impress! The bar is set high on a 5-hour Top Shelf Open Bar followed by my creative signiture drinks, early evening Waiter Style Hors d’oeuvres, Deluxe Buffet, and Dessert Hour. Celebrate at midnight with a complimentary VIP STYLE glass of champagne and join the DJ in a live countdown to kick off the New Year with Great Gatsby Props! Seats are limited and tickets WILL NOT BE SOLD AT THE DOOR! Live Jazz Band! Cash Bar! Buffet until 11:00 PM (food for purchase after), Champagne Toast at Midnight! Watch Ball Drop live! Advanced reservations starting at $49.95 with guaranteed seating, light buffet until 11 pm, and a Champgane Toast at Midnight! This holiday season, the spirited romance of operetta, the glamour of ballroom dance, and the delicate beauty of ballet will waltz you into a triumphant New Year. This charming celebration blends acclaimed European singers and dancers with exceptional local symphonies for a rich cultural experience that will leave your toes tapping. Experience Salute to Vienna New Year’s Concert. In honor of New Brunswick’s 25th Tree Lighting, they invite you to the City Center for plenty of free community activities all throughout December! The celebration will kick off with the tree lighting on Friday, December 1st from 5 PM – 7 PM, featuring holiday music, live performances, a cook-off competition, a visit from Santa, a holiday market, and more! On December 9th you’ll be able to take photos with Santa at The United Methodist Church at New Brunswick between 11 AM – 3 PM. Free horse-drawn carriage rides will be offered from the Hyatt Regency from Friday the 15th to Sunday the 17th. These rides start at 4 PM each day and are on a first-come, first-served basis. The New Brunswick Fire Department, PRAB, Elijah’s Promise, and Salvation Army will be accepting donations of food, clothing, and additional items through December 17th. Finally, the New Year’s Eve Fireworks, presented by The Restaurant Guys, will be launched from the rooftop of The Heldrich on Sunday, December 31st. 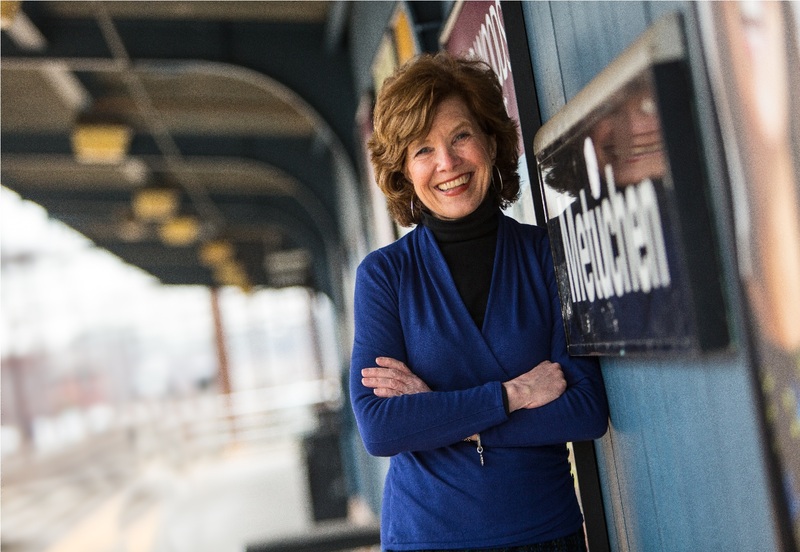 Ring in the New Year in New Brunswick City Center! New Year’s Eve at Peacock Inn Restaurant. 1st Seating: 5pm – 6:30pm | 4-Course Menu $125 per person | Children 10 & Under $45. 2nd Seating: 8:30pm – 10pm | 5-Course Menu $175 per person | No Children. New Year’s Ev at Tre Piani. Dinner ala carte from 4-7 pm. Dance into 2018 with VALARIE ADAMS AND DIMENSION BAND and enjoy complimentary party favors, music and dancing starting at 9:00 pm – all your favorite hits from the 60’s, 70’s, 80’s, 90’s and today. Tickets: $23.00 General Admission, $18.00 per person with groups of 20 or moreSimon was once the friendly neighborhood undertaker, until death after death plagued upon him. Lost in his own madness, Simon secretly performed autopsies and experiments to resurrect the dearly departed. Unsuccessful in his efforts, his procedures have created heinous mutations which live within the walls of his mortuary. Should you choose to enter into Simon’s world, you will be forced to play his games in order to exit… alive. The Giamarese Family has been farming for over seven decades. Our farm is located on thirty-five acres in East Brunswick, New Jersey. We are open from May through December and grow a variety of fruits and vegetables that are available for in our farm market, for Pick-Your-Own and wholesale. We do not grow Roundup Ready GMOs. We have plenty of fun activities such as Fall Harvest Weekends, seasonal events, School & Group Tours and Volunteer Gleanings for the hungry. VIP: VIP tickets get you to the front of the line without the wait! Bring your family on a scenic hayride to our 40+ acres of home grown pumpkins, $3.00 a person, kids under 5 ride FREE, Veterans ride FREE, every Saturday & Sunday starting September 23rd and 24th through October 29th, 2017. Visit our friendly farm animals. Bounce in Daisybelle the cow, loose yourself in our corn maze, shoot our Corn Cannon and enjoy good food. Fun for the whole family. Our farm stand is filled with our fall harvest. You will find Country Treasures and fall decorations. Our own Indian corn, gourds, kale, corn stalks, straw and a wide variety of colorful mums. Take home some local apple cider, fresh baked pies, breads and goodies! From spooky snacks to crazy costumes to memorable makeup, Halloween’s DIY factor is high. Here are ways to get crafty for the season! This no-carve activity is sure to turn trick-or-treaters’ heads as they pass by. All you need is a white pumpkin, some unwrapped crayons, glue, and a hair dryer. With nothing more than a marker and some clementines, you’ll have an adorable “pumpkin” family in no time! Looking to dress up as a mermaid this year? Or maybe a snake? With some fishnet stockings and a few other supplies, you’ll pass for the real reptilian deal in no time! Take your after-school snack to the next level this Halloween, and make this tasty snack a family favorite. All you need are some red apples, peanut butter and mini marshmallows! Seventy-six years ago, as legend has it, a traveling circus made its way through Hunterdon County. On a particularly foggy night, a caravan of clowns broke away from the group and ended up lost among fields and farms. Seeing a solitary light in the distance the clowns stumbled upon a desolate farm about a mile off the road. Looking for a safe place to rest their heads for the night, the clowns approached the house. The old farmer bitterly answered the door as the rest of his family lay asleep. Rather than being greeted with a warm act of kindness the farmer chased the clowns off his property screaming and calling them “horrible freaks.” Their fate was decided. After that night, no one has heard from or seen the farmer or his family. As a matter of fact, those “horrible freaks” never left his property. Instead, they haunt the farm at night, kidnapping and torturing anyone who wanders off alone. The old circus clowns have a new act they practice when the sun goes down. Their tricks result in scares. They traded laughs for screams. And they won’t stop until they have gotten their vengeance. Tonight, we invite you to witness the legend of the Clown Farm to see if the fun is all its really cracked up to be. Check out a scare that will stay with you, with two attractions: Creepy Hollow and Slay-Ride. Once the sun goes down and the mask of this happy fall destination is stripped away, you will see Scare Farm as it truly exists. The terror is real, your nightmares can come to life and madness rules the land. So if you have ever thought about taking a haunted hayride during the Harvest Moon, climb aboard “The Slay Ride” and Fear the Ride! Are you brave enough to take on the demented imaginations of our student’s minds? Designed, built and run by past and present students. This tormented trip through body parts, evil creatures and more will redefine “stage fright”…FOREVER!!! Enter the doors of the Performing Arts Center if you dare! Our entire theater will once again be converted into a crazy labyrinth or horror. Although the haunt takes place in a theater, this is not a show where you sit and watch the stage. This is a 15-20 minute walking tour throughout the entire facility with frights and terror around every corner. Curious George Corn Maze, Sunflower Field, Pumpkin Patch, Hayride,Ok Corral, Pumpkin Bowling, Corn Box, Pig Races, Hay Maze, Timmy Town Zoo, Duck Races, Spider Web, Pedal Carts, Jr Pedal Carts, Horse Wings, Hi-Striker, Playground, Rainbow Tires, Giant Checker Board, Horse Bouncers, Tattoos, and Button Making. And MUCH MORE! Haunted Hayride of Terror – Take a Haunted Hayride into the back woods of New Jersey. People say they see and hear things that come alive. So maybe if you’re lucky you may see their shadows and hear the horror of the victims cries as they roam by. Are you afraid of things that go bump in the Night? Than come take a ride. 3D Haunted Barn- Visit our Haunted Barn and walk through as the Haunting images stick in your mind, as creatures cling to the walls with fangs and claws waiting for their next victim to come along. So don’t fall behind, Make sure to stay in line. This is the scariest Haunted Barn on the East Coast you will find. The Haunted Wooden Trail – The Haunted Wooded Trail will take you to the depths of New Jersey’s back woods. With each step you take, you will swear you can hear the breathing of creatures surrounding you through out the night. Each step may be your last, so Beware! If you dare to take a walk on our trail. The Living Maze – Enter our Living Maze it will put you into a Hellish Haze with all it’s twists and turns. Try to escape it’s deadly grasp for the Living Maze will have the last laugh. Marlboro Zombie Breakout – We need your help to exterminate these psychotic zombies. Are you up to the task? Can you help C. Casola Farms get rid of the walking dead? There is only one way to find out….and that is to take up a gun and start shooting. Good luck future zombie exterminator and may the fates be with you! Please bring a non perishable food item for the Oldbridge food bank (please check expiration dates). We will also be happy to accept donations to the Oldbridge animal shelter. The scouts will also host a bake sale with delicious homemade baked goods as well as hot chocolate, hot cider and other beverages. Proceeds from the bake sale benefit the Troop and Pack. Apple picking, pumpkin picking, cider, pies, farm animals, pick your own, field trips, farm market, gift baskets and more can be found at the Mount Family’s 200 fruit- and vegetable-producing acres noted for quality products and country-style service. Terhune Orchards Farm Store attracts local people doing their daily shopping as well as visitors passing through the Princeton area. The Farm Store and Farm Yard are open every day, all year round. Oasis Island of Terror offers a unique haunt experience designed to heighten your inner fears and senses. It’s New Jersey’s most realistic walk-through haunt that’s soon ​to be your destination to fear! Hay ride to and from Festival grounds • Pumpkin Moon Bounce • Hippity hop • Horses • Potato Sack Slide • Corn Maze • Hay bale Maze • 2 Corn Boxes – Like a sand box but full of corn kernels • Spider Web • Pedal Carts • Corn Hole Games • Bowling • Hay Bale Activity Center, And More……. TWO fun, fascinating -40 minute guided tours into the spirit-filled past of New Jersey’s oldest chartered settlement. Costumed guides tell the stories of New Jersey’s first European settlers, Revolutionary War heroes, members of Victorian society and much more! Meet the spirits of both famous and infamous local residents of the town’s past. When: First tour starts at 6:30 pm, Immediatelyfollowing the ZOMBIE WALK! Walks will start every 15 minutes, Last tour at 9:00pm. Saturday, October 21st. Bring a sweater, walking shoes and a brave spirit as we visit the town’s well-known paranormal hot spots and re-live its notorious scenes of mayhem! Since Antiquity, visually unusual beings had been exhibited in public spaces. In the 16th century, street performances involving these beings were organized for the enjoyment of the public. Later Freak shows featuring a number of ‘monsters’ contributed to the success of travelling shows. For more than a hundred years, the sideshow was to become an indispensable part of American circus culture. Classic attractions of the past included the giant, the fat lady, the midget, the three-legged boy, the armless wonder and the thin man. 105 Sideshows used to exist in the United States alone, but today the business of sideshows has all but disappeared due to public scorn. Until today….. The Dark Carnival brings you New Jersey’s First Traveling Side Show. Be amazed as you meet the Morbus, the Aquatic Fish Boy. Taken straight from the Atlantic waters off Morocco, Morbus is an exotic, land dwelling fish that one must see to believe. Step back as you witness the spectacle of Algano, the Amphibious Lizard Man. Complete with scales and a slimy coat, Algano is sure to challenge your minds boundaries between the possible and impossible. Finally, our greatest attraction… Mongo the Human Mutant. Grotesquely deformed, one might debate if Mongo is human at all. Completely devoid of all ability to learn and function in the human world, Mongo has known nothing but sideshow life since his birth. Be careful as you approach him however he can be as dangerous as he is unusual. So come one, come all to the Dark Carnival !!! If you have unquenchable curiosity for the outlandish, thirst for the unknown, and both an attraction and repulsion for the diseased and deformed, we have put together the show for you. Visit our Sideshow of Oddities and we assure you that your mind, your curiosity, and all the beliefs you have ever held true will be questioned forever. Live Music featuring the Tom Petty tribute band, Damn the Torpedoes! Join the pooch parade at 2:00 pm , Canine costume contest and talent show. Win big prizes from local establishments! THE BEST event around! Pro-wrestling… the most frightening haunted trail… carnival rides… hayrides… food vendors… art/craft/merchandise vendors… face painting and more! All for an amazing cause! Guaranteed to please all ages! Don’t miss it! Jacob Sneed’s first foray into the realm of bargaining with the Devil seemed fruitless—yet as his traveling carnival teetered on the brink of bankruptcy, Sneed faced little choice other than to beg the Prince of Darkness to save his doomed festival-on-wheels. But what possible use could the Devil have for pathetic Sneed or his carnival? The apocalypse brought with it a time known as “the Blackened”, the earth’s population was nearly eradicated. Those who survived banded together in separate communities and forced to survive by any means possible. Wars between these communities raged on, death was life. One such community known as Ravenshire , has been struck with a deadly plague that threatens to destroy them all. The cause and spread of this plague is unknown.The victims experience high fevers, vomiting of blood and grotesque swelling of bodily features. Because of this plague they become dangerously delusional and violent. Cape May is one of the most haunted town’s you’ll ever visit. Is it any wonder? It’s such a marvelous place, even the spirits don’t want to leave Cape May! Dozens of Victorian gems have been investigated and documented to have “spirit” residents, all of whom are quite friendly, we assure you. Take a giant step back in Cape May’s past and see if a ghostly encounter is in the cards for you! Tickets: Tickets can be purchased online or in advance at the Washington Street Mall Information Booth or at the Carriage House Visitors Center at the Physick Estate, 1048 Washington Street. You will begin your haunted adventure at the first of three attractions. The all new House of Horrors is not for the faint of heart, you will journey through the narrow corridors where you will be greeted by some of your worse nightmares. You have no choice but to face your fears and continue your journey in search of exit, if you are fortunate enough you will make your way to the Forbidden Forest, don’t be fooled you aren’t there yet look out for the creatures of the night. Upon your exit if you dare we welcome you to the rest of our fare. You’ll be led to the haunted Corn Walk of Terror where you will be tormented by your worst nightmares! Beware: This is not for the faint of heart! Once you make it through (IF you do! ), you will encounter a graveyard with the spirits of the dead! You will then make your way to the famous Haunted Hay Wagons that will be waiting to take what’s left of your body on a haunted journey deep into the backwoods of New Jersey. On this ride, you will encounter many lost souls, and if you are lucky, you’ll make it out alive to warn others to beware!!! When: Friday, Saturday and Sunday nights 7PM – 10PM Starting September 29 until October 29. Learn the legend of the Jersey Devil through multiple attractions at “Scared in Jersey” — if you dare. The Devil’s legend has inspired multiple scare-tastic attractions: The Devil’s Midway, where guests can engage in conversation with the Devil’s victims, buy food and scary merchandise. The Pine Barrens Maze, where guests travel a windy path guarded by large pine trees and haunted by 18th century ghosts… and the devil himself. Old Mother Leeds’ Cottage, a theater attraction where visitors can watch the Jersey Devil ghastly entrance into this world in his mother’s cottage. If you dare, hop onboard our Haunted Hayride that runs continuously through 66 haunted acres deep in the bowels of New Jersey’s Pine Barrens. If you are lucky enough to survive the Haunted Hayride, you can continue the adventure with a walk through the Psycho Path. You are safe as long as you don’t venture too far from the group. Returning this year is the Dead End Corn Maze, a labyrinth terrorized by ghosts and ghouls that no haunt seeker would want to miss out on! Nightmare at Gravity Hill’s Haunted Trail attraction is a 35 to 45 minute walkable experience where guests will encounter numerous frights. With over a dozen scary scenes to witness, trail goers are sure to feel their heart rate increase. There is no knowing what may be around the next turn, but one thing is for sure, it will be frightening. As soon as you enter the gates of Gravity Hill, the nightmare begins. You will encounter many creepy, spine chilling scenes and settings over the course of this haunted walk. This is no hayride! There is no running or escaping the creepy creatures of the night. The park is family-friendly by day, but they turn up the terror at dusk! Fright Fest at night is not recommended for children under 13 or anyone who scares easily. This Halloween celebration at the huge Six Flags theme park has a large variety of trails, each with a different theme. They range from the not so scary to the extreme, very scary.The characters are live and will agree to stop and take pictures with you if you ask. Park Maps are provided to provide a guide and information on the shows and trails. Prizes for best-dressed pets. Parade starts at Noon followed by trick or treating downtown. Bring the kids to an age-appropriate Halloween parade in Southern NJ this year! The 2016 Sea Isle City Halloween parade in Cape May County has something everyone can enjoy. There will be countless costumed characters that children will love seeing pass through the streets. Additionally, there will be holiday-themed floats, live musical entertainment and much much more! In addition to the fun floats and costumed-characters, there will be a dance party in Excursion Park. Come out and join the various holiday mascots as they dance to the beats of popular music and enjoy the fun fall weather! Your dancing skills won’t matter at this event because the theme is Halloween and the monsters, zombies and spooky creatures don’t judge. The fun will begin at 7pm and all are invited to attend. Call 609-263-0050, or visit Sea Isle City’s website for additional information. Visit Tuckerton Seaport, if you dare, for a ‘spook’tacular adventure known in local lore as Haunted Seaport. Ghost ships sail up the Tuckerton Creek and dock to let the crew stroll the Seaport’s boardwalk for a night of screams. Try to find your way out of the haunted woods and climb aboard a hayride for a ghostly good time. Meet and greet with the Jersey Devil while dancing to music sure to bring even zombies back life. Purchase refreshments from the Voodoo Witch Doctor. They will also have a non-scary pumpkin patch with crafts, stories, games, and not-so-scary fall activities. Tickets: General Admission is $8 for all ages. Hayrides are $5 with paid admission and free for Seaport Members. Black Pearl rides are an additional $10 per person. When: Thursday, October 22nd, Friday, October 23rd and Saturday, October 24th from 6:00pm until 9:00pm each night. Wall Township, NJ. Experience the 100-year-old Army Base on a most terrifying and disturbing 1/2 mile-long journey. The true and weird New Jersey history of this National Historic Landmark includes a century of top-secret and experimental research in radar, radio, satellites, radioactive materials and much more that has yet to be declassified. Camp Evans Base of Terror is an all-volunteer effort to raise money for the operation of The Info Age Science History Learning Center and Museum and preserve the grounds of a National Historic Landmark Camp Evans Base. The Greater Wildwood Elks Club, operating out of Cape May County NJ, will be running a haunted house for children during the 2016 season. On Halloween Day, you can bring your little one to the Elks Lodge on 1st Avenue where they can make their way through the “haunted house,” trick-or-treating in the process. Families will love spending the evening, between 5 and 8pm, at the Elks Club because it is child appropriate and trick-or-treaters of all ages are sure to have a good time. Members of the club will be the ones handing out the candy and parents can partake in the fun by going “door to door” with their children or relaxing while the kids enjoy themselves. When: Open Oct 14th, 20th, 21st, 27th, 28th, 29th, & 31st, 2017, 7pm-? October 31st 5pm – ? Tuesday, July 4th, 2017 at Foley Field, gates open at 5:30 pm. Fireworks begin at 9:30pm Blooming Fireworks! 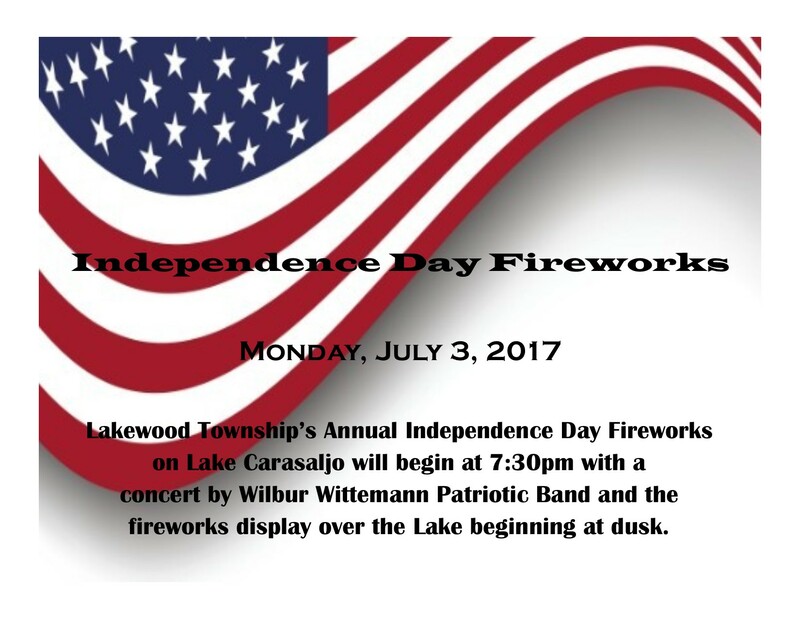 Monday, July 3rd, 2017, Concert and Fireworks, 16th Street Park. 7pm. Fireworks start at 9:15pm. Rain Date TBA Bayonne Goes Boom! 2017 July 4th FIREWORKS in New Jersey!!! 2017 Fourth of July Fireworks in NEW JERSEY!!! This event features the comedy of Juston McKinney and Vinnie Brand. 7:30pm show – $59 (purchased before Dec 15th). Price includes show tickets and our fabulous all you can eat buffet! The 10:30pm show, at an increased price includes show tickets, Open bar, all you can eat buffet, champagne toast at Midnight and dancing after the show! This year’s celebration is the themed show: Gangsters, Gun Molls & Gin. The comic host will guide you through the evening filled with gorgeous Showgirls, dangerous Gangsters and talented Musicians. Performances by: Vivi Noir and the Noir Follies will keep you entertained as you ring in the New Year, while Hildy and the Pep tones will keep you dancing all night.